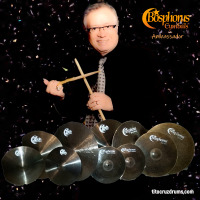 TITO CRUZ is a versatile Drummer he has performing with many great stars including Lorna Loff, Al Hibbler, Connie Francis Chuck Mangione, Freddy Cole, Patato Valdez, The platters, Edmar Cataneda, James Moddy, Jaco Pastorius at Hemmingways 1984 and many others. 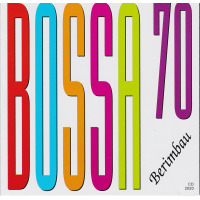 BRAZILIANS and international stars like Ellis Regina, Martinho da Silva, BRAZIL BRAZIL, Ana Gazzola & Sonia Santos and many more. His father began TITO'S musical education at the age of Seven he stared with piano classes (FERNANDO CRUZ ARROZITO) was his first teacher and influence at the age of 15 tito stated playing drums as a PROFESSIONAL drummer with many legendary musicians in his country, Peru. TITO was already one of the top drummers (sharing the studio performances with the two others famous drummers, Adolfo bonariva and alex acuna. AT Age of 17 TITO Was one of the drummers with more DEMAND for recording studios and tv commercial, He met the famous JAZZ DRUMMER ELVIN JONES and ELVIN give to tito a pair of gretsch drums sticks like'it present. AS A JAZZ DRUMMER TITO lead his own quartet from 1969 to 1975,making a lot of CONCERTS around PERU sponsorship by the EMBBASY OF UNITED STATES in lima peru for USIS DEPARTMENT, HERE in USA TITO TOOK LESSONS WITH THE GREAT DRUMMER ALAN DAWSON AND LATER IN NEW YORK MASTER CLASS WITH THE GREAT JOE MORELLO,after years HERE IN FLORIDA TITO performance with many local musicians,Teddy Mullet,Mario escobar,Dolf castellano,Miguel reyna richie perry , lou colombo othello molineaux felix gomez,mel dancy,juanita dixon,abel pabon,martin hand, gary keller,joe donato, TROY ANDERSON,anthony corado,and many more. HE is one of the more versatile drummers from many years in south florida,his style cover from JAZZ LATIN, FUNK,R&B BLUES BRAZILIAN,SAMBA, BATUCADA, CHORINO,AND AFRO PERUVIAN RHYTHMS TO ALL TRADITIONAL AND MODERN RHYTHMS AND ALL INTERNATIONAL MUSIC TITO performances around Miami, fort lauderdale, new york and europe, TITO came the last November from 6 months of performances in Europe WITH HIS QUARTET FOR PRINCESS CRUISES now in South Florida tito is playing with many top musicians and singers. For years, no two people have been more ubiquitous in the South Florida jazz audience than Al and Flo. Al has agreed to share his take on the jazz scene in this semi-regular column. In the near future, we will create an RSS feed. In the meantime, please bookmark the page and visit often to get Al's skinny. Thursday, the last day of May, 2012 brought Flo and I to a new room (for us) featuring JAZZ. Bistro Mezzaluna in Fort Lauderdale started a program of weekly JAZZ that will continue on Friday nights. The barroom of the restaurant is really conducive to comfortable listening. The programs band is made up of Clarence Palmer (B3 organ), Rick Harris (piano, trumpet, sax, vocals and anything else he can get his hands or lips on) and Tito Cruz (drums). They plan on featuring a different vocalist every week. Thursday night they had DeeDee Wilde. Ms. Wilde and the trio had us, you know what, with our hands and toes. Best wishes for future performances both to the group and Bistro Mezzaluna. All About Jazz musician pages are maintained by musicians, publicists and trusted members like you. Interested? 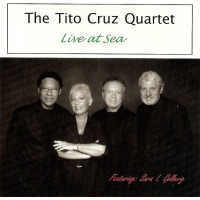 Tell us why you would like to improve the Tito Cruz musician page.